Join Judy Niemeyer Certified Instructor, Gretchen Veteran, the third Saturday of each month to begin, work on, and complete any of the four Technique of the Month quilts. 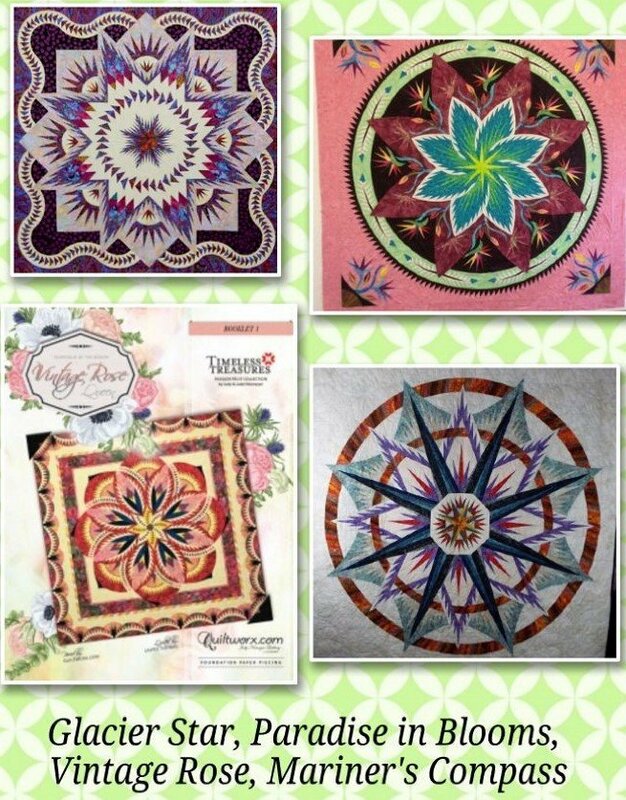 These patterns are Glacier Star, Mariner's Compass, Paradise in Blooms and Vintage Rose. Confident beginners welcome. With Gretchen's patience-style of teaching, anyone can learn to make these beautiful heirloom quilts. Don't be intimidated! Pre-pay six months and save $30.